The Suzuki Swift, sold as the Maruti Suzuki Swift in India, is a finalist at the prestigious World Car of the Year 2018. This award identifies one car each in many categories, among 5 finalists in each category. The Suzuki Swift is one of the 5 finalists in the World Urban Car category, where it’ll compete with 4 other cars for top honours – Ford Fiesta, Hyundai Kona, Nissan Micra and the new gen Volkswagen Polo. As you can make out, competition will be very stiff, and if the Swift wins this award, it’ll be quite an achievement for the car as well as the Suzuki brand. Winners will be announced at the New York Auto Show in March 2018. Maruti has just introduced the Swift in India. The car was launched at the Auto Expo, with prices starting from Rs. 4.99 lakhs. 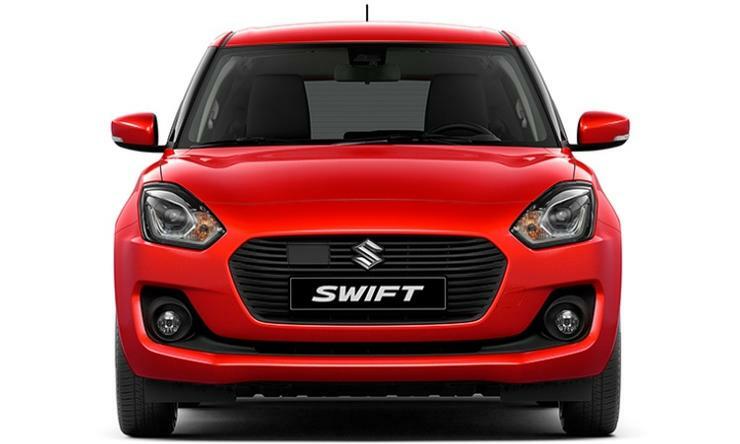 Already, over 40,000 people in India have pre-booked the Swift, which is turning out to be a big hit for Maruti Suzuki. The Swift will be built at Maruti’s Hansalpur factory in Gujarat. With the factory having a capacity to produce 150,000 cars this year, the demand for the Swift is likely to outstrip supply as Maruti anticipates monthly sales to hit 15,000+, something that the older Swift used to manage regularly. This means that the Suzuki-owned Hansalpur factory will need a capacity of over 180,000 units per year just to meet a demand of 15,000 units per month. If demand is higher – something that is very likely – waiting periods are expected to soar. But why not, as the new Swift is a big improvement in many areas compared to the older model. Here is our report that tells you why the new, 3rd generation Swift is a such a big improvement over the outgoing version. Meanwhile, the all-new, 2018 Swift is expected to be joined by a much sportier model called the Swift Sport. The Swift Sport will feature a 1.4 liter turbocharged petrol engine with 140 Bhp-230 Nm. Maruti could price it at Rs. 10 lakhs. We WANT!